At Mother's Day, we bring our focus to literary examples of motherhood. Mothers featured in children's stories spring to my mind first; although oversimplified for the sake of the young reader, they comfort me as archetypes of strength and unconditional love. But I also honor and seek solidarity with complicated and irreverent mother characters. 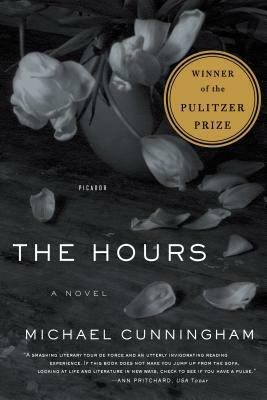 I read and reread stories that display mothers' internal conflicts—such as Michael Cunningham's The Hours and Kate Chopin's The Awakening—because in revealing their characters' unconventional personal desires, the authors invite me to question whether the role of "mother-woman" fulfills my own. 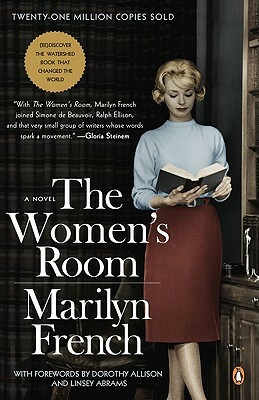 "Birthing the Mother Writer" columnist Cassie Premo Steele offers the benefit she gained by giving a book a second read: "I recently reread Marilyn French's The Women's Room. Twenty years ago, an older woman friend who was a single mother gave it to me. I was in my 20s at the time, and I remember thinking that it was dated and didn't really apply to contemporary women. Then 20 years went by. I married, became a mother and stepmother, divorced, and picked up the book again. This time, every line rang out true to me. I guess I needed those years of experience to give me the wisdom to understand the book's truths. It's not an easy book to read. But if you are a mother and literary, it's essential." 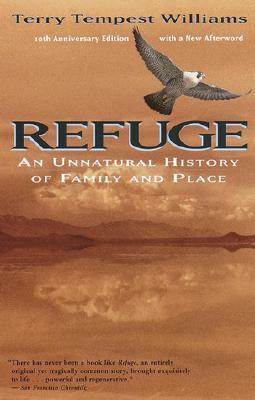 Literary Reflections Editor Andrea Lani writes, "In Refuge: An Unnatural History of Family and Place, Terry Tempest Williams tells the story of her mother dying of cancer at the same time that the water level of Great Salt Lake rises due to abnormally high rain and snowpack levels, flooding out the habitat for birds in the Bear River Migratory Bird Refuge, where Williams seeks refuge and solace in her grief. Williams plaits her mother's slow descent into illness and the lake's slow creep across the land together with strands of family history, Mormon tradition, natural processes, and the misuse of land presumed barren by distant politicians, which Williams suspects led to rampant cancer among women in her family. Williams's story is one of the deep connection between mother and daughter, a connection parallel to and inextricable from her connection to nature. 'What is it about the relationship of a mother that can heal or hurt us? Her womb is the first landscape we inhabit,' she writes. Over the course of the book, and the four years of her mother's dying, Williams struggles with fear of and resistance to death: 'I am slowly, painfully discovering that my refuge is not found in my mother, my grandmother, or even the birds of Bear River. My refuge exists in my capacity to love. If I can learn to love death then I can begin to find refuge in change.'" Senior Columns Editor Alissa McElreath shares, "I finished reading Moira Crone's The Ice Garden on a recent Sunday night, when I was so sleepy I could barely stay focused on the page—but I knew I needed to finish, because I needed to lay the story to rest, and to be assured that the ending I thought was coming wasn't. The Ice Garden is one of those rare books that combines psychological drama with lyrical prose and begs for a second read—to be truly able to savor Crone's craft. At first glance, this novel is an improbable pick for an Essential Reading choice centered around the theme 'Mother's Day.' It is a chilling and dark coming-of-age story set in the South of the 1960s and is narrated by ten-year-old Claire McKenzie. Claire grows up almost as an orphan, in a house with a mother who is battling mental illness—and whose recent pregnancy and delivery unleashes it in devastating ways—and a weak and emotionally blind father who is so obsessed with his wife's physical beauty that he is unable to see the decay underneath. 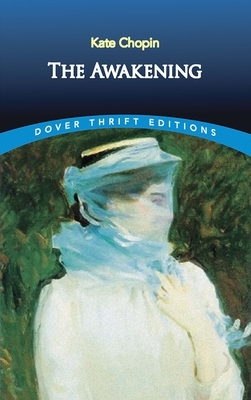 "Diana McKenzie is cold and cruel towards the new baby, nicknamed Sweetie by Claire, and her actions are dangerous and border on the criminal: giving the baby a scalding drink to sip, keeping her in a room so cold her lips turn blue, or putting her alone into a bathtub and leaving the water running. Claire is extremely devoted to and protective of her baby sister. Projecting her own feelings of neglect and rejection onto Sweetie, she hopes she can give her the love that her mother is unable to provide; indeed, one of the great tragedies in the novel is that she proves time and again to be a better mother to Sweetie than Diana. Yet despite how terrified we feel for Sweetie and Claire, it is hard not to feel compassion and empathy for Diana, who is trapped in her own, private hell—caught between living up to her husband's idolization of her superficial beauty, and the restrictive Southern expectations of how she must behave as a wife and mother."